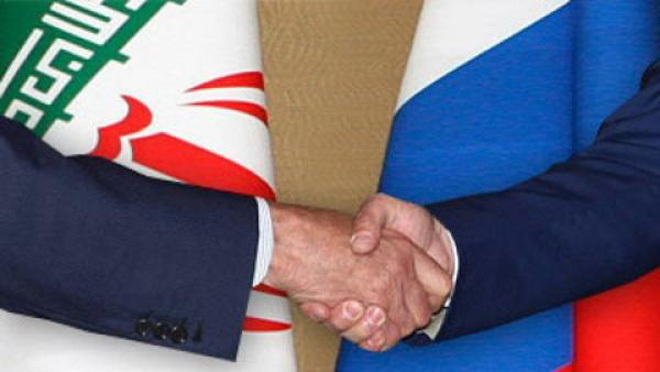 Iran officially confirmed that negotiations related to bartering Iranian oil with Russian goods are continuing. The Deputy Foreign Minister for Caspian Sea, Asia and Pacific affairs Ebrahim Rahimpour who also serves as the country`s special representative in Caspian Sea issue told Trend on April 8 that Iran and Russia are negotiating about the details of oil, gas and other products bartering. Responding to a question about the result of oil-for-goods swap negotiations between the two countries, he said that "the various bilateral technical talks continue about the details of the deal". Two American senators Robert Menendez and Mark Kirk, who authored an Iran sanctions bill noted on April 7 that Iran and Russia are making progress toward a $20 billion barter arrangement that would breach the Joint Plan of Action and significantly undermine U.S. sanctions. Iran and P5+1 achieved an interim nuclear deal in November 2013, which called Joint Plan of Action (JPA). According to JPA, enforced in January, the western sanctions over Iran have been eased partly, but Iran was allowed to keep oil exports in 2013's level. According to International Energy Agency, Iran exported 1.07 million barrels of oil per day in 2013 on average, but the volume soared to 1.41 mbpd in February. On the other hand, Iran and Russia are reportedly negotiating to barter 500,000 barrels of Iranian oil per day, with Russian goods. The U.S. warned about the consequences of a probable deal which creates an opportunity for Iran to sell $20 billion further crude oil. Menendez and Kirk mentioned in a letter to President Barak Obama that "If Iran moves forward with this effort to evade U.S. sanctions and violate the terms of oil sanctions relief provided for in the [interim nuclear deal], the United States should respond by re-instating the crude oil sanctions, rigorously enforcing significant reductions in global purchases of Iranian crude oil, and sanctioning any violations to the fullest extent of the law". The deputy of Iran's foreign minister said Russia is an important power and Iran's regional partner in foreign policy, has had its own place in Iran's foreign relations, and will keep possession of it in the future. Rahimpour said that Iran-Russia's trade turnover will increase in the future. "We have potential to boost trade significantly". An Iranian senior diplomat said with regard to Turkey-Iran's trade turnover worth $20-billion, [there] being only $2-3 billion in trade between Iran and Russia is very low and has a capacity to reach Iran-Turkey's or Iran-China's trade level. Rahimpour said that "There are some concerns among some countries, including the U.S. about the boosting of Iran-Russia trade, but their worries are not comprehensible to Iran".